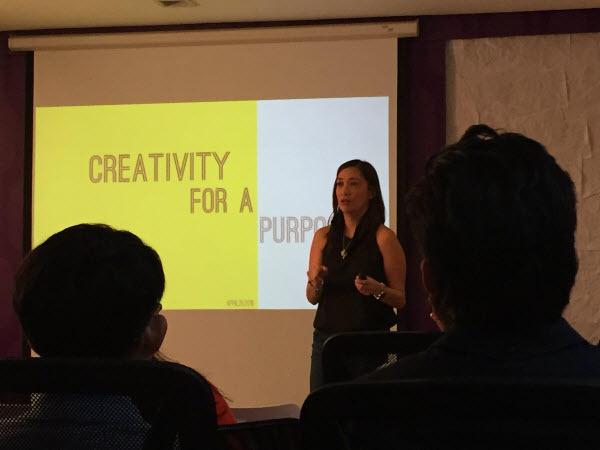 The chairmom and book author shares lessons from her experience growing the creative agency DM9 Jayme Syfu. When pressure runs high and deadlines abound, how do creative businesses thrive? For the outsider, the immense demand can easily crack the spirit, and run enthusiasm dry. It is heartbreaking. It is exhausting. But for award-winning advertising executive Merlee Cruz-Jayme, this is when the real fun starts, as one good idea can easily scurry the troubles away and make the light bulbs pop. Welcome to the life of the creative. Dubbed as “chairmom,” Jayme is the Chief Creative Officer of the world-acclaimed creative agency DM9 Jayme Syfu, which gained accolades from award-giving bodiesincluding the Grand Prix at the Cannes Lions International Festival of Creativity in France in 2013—the first Filipino agency to bag such award. She has recently added another title to her CVas the book author of Everyone Can Be Creative, where she discussed how the natural and learning creative can cultivate their skills. But with so much on her plate, how does she ensure her team is at their best? She shared some tips with Entrepreneur.com.ph. Even the advertising industry is not spared by the restless millennials’ refreshing ways. “I love working with young minds because they keep things fresh and show you there’s another way of doing things,” Jayme said in a creative workshop for Summit Media on April 25. The creative noted how important to offer something new in the table, especially when pitching ideas to clients. “I always want to be the first one to tell the brand, that hey, ‘Did you know ads appear when Steph Curry makes a 3-point shot?’ It gives you edge,” Jayme added. But with the young’s restlessness comes the yearning to do more, which is why Jayme always prepares herself for the inevitable truth of them leaving the company. “You can’t expect them to be loyal but you can learn from them new things, and that’s okay,” Jayme said. The constant transition of people in the creative agency has made Jayme emotional at times, as she has treated the agency like family. “I’ve cried over people who leave us multiple times! But it’s part of it, no hard feelings,” Jayme said. You need to cultivate and nourish their creativity before they become monsters, she said. “As a whole, the advertising industry is full of humble people, but if there’s this one person who thinks so highly of his or herself, I don’t hesitate to make them leave because that could easily spread among your people. It’s toxic,” Jayme said. Rules and creativity may not entirely jell, but with the boundless energy that creatives tend to give, it is the only that keep them disciplined. “Just imagine if we weren’t given deadlines! We won’t be able to start working. Deadlines keep us disciplined,” Jayme added. Dominating in a male-dominated industry has always been a feat, even for Jayme, which makes her protective of her own female creatives in the agency. While her integrity has sometimes cost them clients, Jayme believe the “blessings would come later,” as her own people is her topmost priority. As per work demands, it usually does not end in deadlines, at least for those in ad agencies. If there’s one more thing that creatives dread at times, it would be revisions. Jayme is well-aware of the creative block and has experienced meeting clients for multiple revisions but still walk away with the same studies. Frustrating is an understatement. “That’s why we sometimes have competition in the office, where there’s limited time to brainstorm an idea with a real good prize, for example, a trip to Japan. Competition keeps them sharp,” Jayme said. But what comes with the competition is the set of winners and losers, of its fair share of rejections and failures. These realities are unsurprising, but dealing with them is the tricky part. “You have to train yourself that you can’t be an overachiever or overeager and not think of the worst. You have to prepare yourself for that,” Jayme said. For a company rich in young talent, this could be difficult to deal with. But this is probably where Jayme easily earned the tag “chairmom,” as she tries to be the agency’s support system at the worst of times. “You try to come up with ways to make yourself feel better. As the person in charge, you have to keep things together, because you are their support system. You can’t wallow,” Jayme said. Unknown to many, Jayme once served as a nun in the Benedictine Monasteries and credits her stay there as one of her strongest foundations for being tough. “I’ve seen many creatives lose it. I also cry, but only once, then I move on to the next phase. You have to surround yourself with the right support system to keep going,” Jayme said. Well, Jayme is in good company, as world-renowned Japanese creative firm Dentsu Aegis Network Ltd. announced its 70% acquisition of DM9 in December 2015. 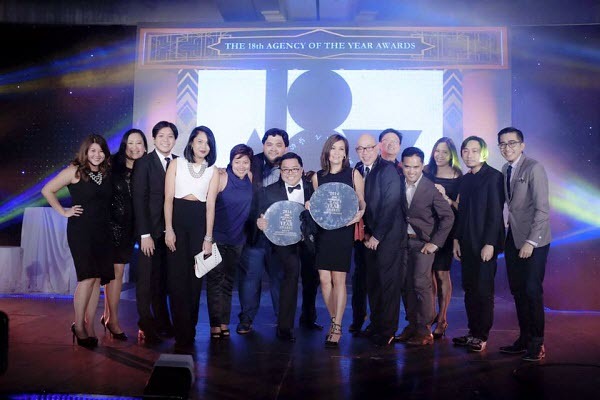 The Filipino agency will now be merging with Dentsu Philippines, growing its population to almost a hundred. “I always want to do something new and I look forward to this chapter. The same tactics that may have been effective for us then, may not apply now. I look forward to learning that,” Jayme said. Elyssa Christine Lopez is entrepreneur.com.ph's editorial assistant/writer. Follow her on Twitter @elyssalopz.